Our good friend Lady Jane Digby's Ghost is back with another guest post. For my first two posts on Read Me Deadly, I wrote about mystery book series. In this third post, I'd like to talk about "one-offs" or stand-alone mysteries. Way back in 2006, I discovered a novel called Berlin. It was written by Pierre Frei, and was the only book he had published in English. His work was translated into English by Anthea Bell, a noted translator from German to English. Berlin was an international best-seller, and is the story of a police investigation set in postwar Berlin, after it had been divided up by the four Allied powers. A number of women had been found brutally murdered, and the case was assigned to both a local German policeman and an American MP. The most interesting thing about the book was the focus on the victims of the strangler. All were blonde women who had survived the war and had helped out in anti-Nazi work. This look at victims and their lives was a welcome change from most books, whose focus on women victims are on their beauty and sexiness and are often times reduced to . . . numbers. But in Frei’s Berlin, these victims' lives meant something and they would be missed. I also assumed that since the author was born in 1930 and had lived in Berlin at the end of the war, the young man featured in the story––the son of the German cop––was Pierre Frei. Berlin is a fascinating look at postwar Berlin through the eyes of a young man. And at some women who tried to make a difference in the desperate times of World War II Germany. Another book set in postwar Berlin, and featuring German police paired with Allied officers, is Horst Bosetzky's Cold Angel. 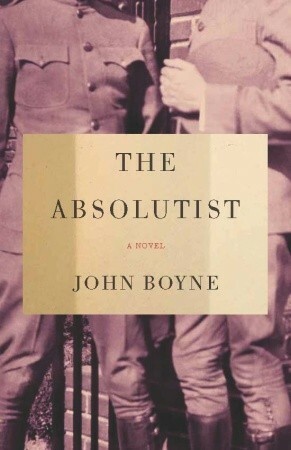 Bosetzky has written a wonderfully inventive book, set in 1949, about what seems to be a true crime. The reader learns pretty early in the book who committed the murders. Bosetzky fleshes out the victims, murderer, police, and politicians who are involved. He includes a love story––will the policewoman-from-the-East and lawyer-from-the-West find lasting love despite political differences? And how and why were two innocent Berliners murdered, cut up in pieces, and distributed over the vast city of Berlin? Cold Angel is Horst Bosetzky's first book translated into English and well worth looking into. Staying with World War I, please look at British author Catherine Bailey's The Secret Rooms (Penguin, 2013), a nonfiction book about the Manners family and their family castle, Belvoir. This book, entertainingly subtitled A True Story of a Haunted Castle, a Plotting Duchess, and a Family Secret, is more of a personal mystery. Why was the Duke of Rutland, who died in 1940, trying to protect the family's name and make sure a secret from the Great War never saw the light of day? What was Rutland trying to hide, and why was he trying to hide it? In her fascinating book, Bailey takes the reader though the last 30 years or so of the 19th century and into the first half of the 20th. By looking at these years through the mysteries of the Manners family, the reader is exposed to an amazing recap of both family and societal history. And if you like British mysteries, check out Unfaithfully Yours, by Nigel Williams (Corsair, January 16, 2014). Williams is also a prolific writer who never returns to the same characters or plots. Unfaithfully Yours is a truly hysterical novel about the––possible––murder of a wife in the London suburb of Putney. It's told totally in epistolary form. Four couples, who used to be friends, have grown apart. They were friends because their children went to school together, and when the children grew up and left home, the reason for the parents' friendship ended. In 2000, one of the wives was found dead in her living room, the supposed victim of suicide. Ten or so years later, the group of former friends is brought together by a private detective, supposedly hired to look into the philandering by one of the husbands, Gerry Price, QC, who is married to a Classics teacher, Elizabeth Price. Who hired the detective is one of the mysteries that doesn't get solved until the book's end. Most of the characters are completely vile, and the few that aren't are partially vile. But it is a fun read about life in today's striving Surrey. So, there are a few one-offs. I can think of many more and I bet you can, too. Let us know of some of your favorites. LJD'sG, I'm very happy you reminded me of Nigel Williams. I must read UNFAITHFULLY YOURS. I read his THE WIMBLEDON POISONER, and it was very entertaining. It's about a lawyer who moves, from imagining himself mourning the death of his wife, to actively trying to kill her; however, he's a very inept murderer, and he accidentally kills his neighbors and friends instead. This only makes him more determined to bag his original target. The other books you mention look very interesting, too. A couple of one-offs I liked: Michael Chabon's THE AMAZING ADVENTURES OF KAVALIER AND CLAY is the story of two wonder-boy cousins, whose lives play out before, during, and after WWII. THE WEATHER IN BERLIN, by Ward Just, features the has-been Hollywood director, Dixon Greenwood, who travels to Berlin and directs the grand finale of the popular German TV costume drama, Wansee 1899. Georgette, thanks for the titles. I am a big Ward Just fan but have never heard of "The Weather in Berlin". I just added it to my TBR table. And I hope you enjoy "Unfaithfully". It's a hoot. I have the "Wimbleton" here, somewhere, and I am going to have to read it. Do you read Ruth Dudley Edwards? Her Lady "Jack" Troutbeck is one of the best mystery characters in modern mysteries, as long as you like politically-uncorrect books. (Though I suppose if you like Nigel Williams, you'll like Dudley Edwards. Her "take" on stuffy magazines like The Economist in "Publish and be Murdered", and on literary awards like the Orange in "Carnage on the Committee" are golden. I'm adding these to my list. To thank you, LJDG, here are two more standalones. I like British espionage author Gerald Seymour, who writes only non-series books. They're not action-packed page flippers but multi-layered and complex, dealing with gray areas of morality. I just finished his 2014 book, THE DEALER AND THE DEAD. In this book the long-ago betrayal of a Croatian village reaches into the present of London arms dealer Harvey Gillott. In Compton Mackenzie's WHISKEY GALORE, Scottish Highlanders are overjoyed when the SS Cabinet Minister, bearing a cargo of whisky, goes aground in WWII. LJD'sG, I'm glad you're also a Ward Just fan. Which of his books have you particularly liked? I haven't yet tried Ruth Dudley Edwards, although I've heard she's great. This is the shove I need to give her a try. Thanks for this suggestion.